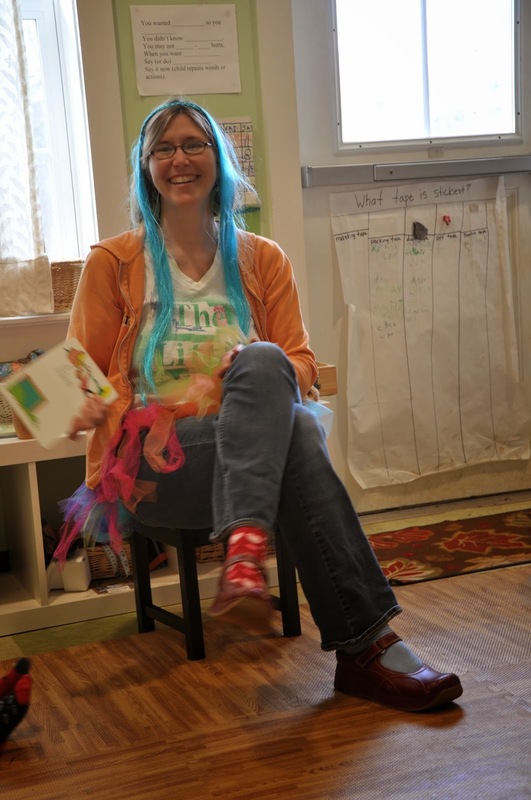 The Little School Community Blog: Dr. Seuss is in the building! 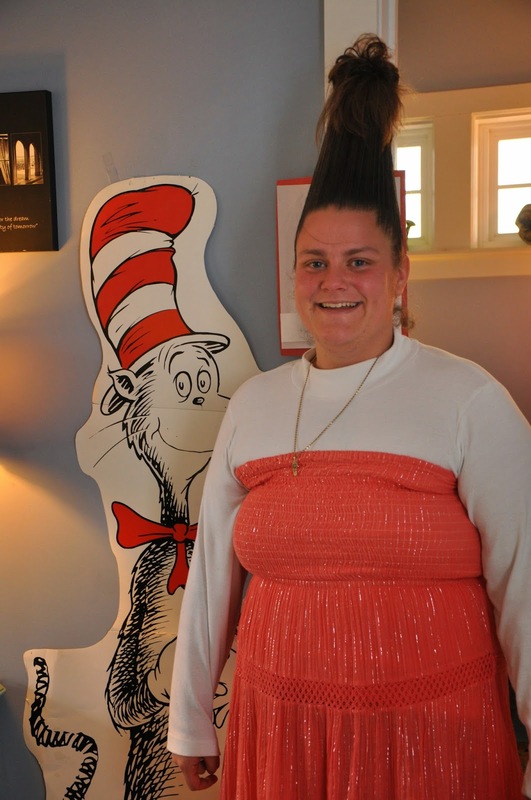 Dr. Seuss is in the building! 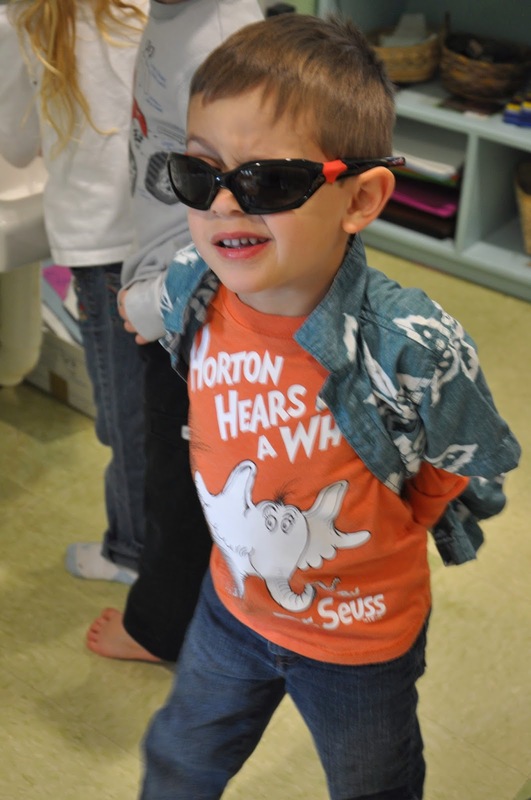 Read across America week is one of our favorite events. 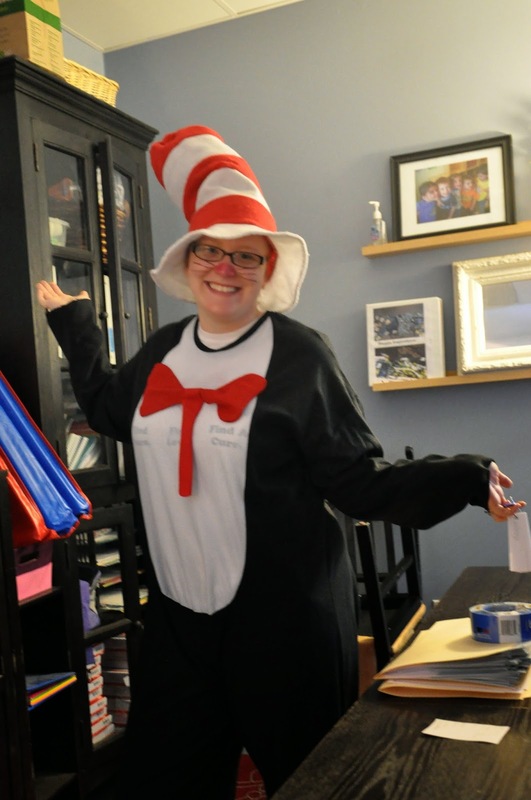 This is when we get to invite the community to embrace their inner Cat in The Hat! 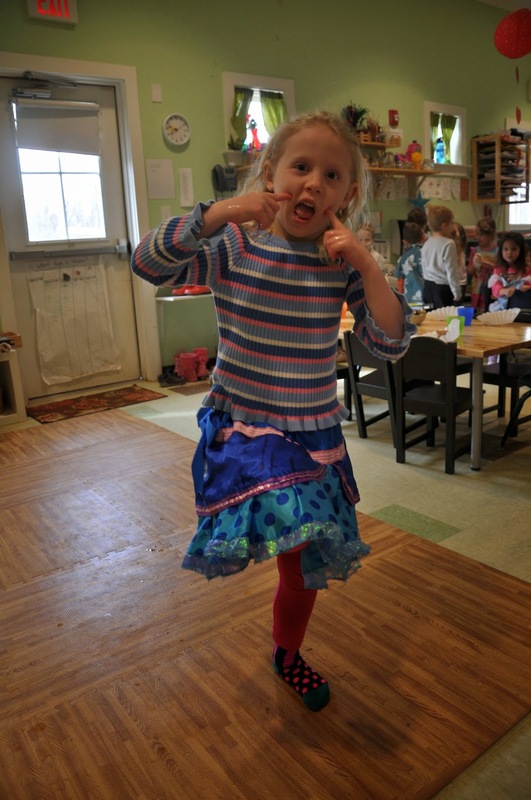 Parents, teachers and kids alike all got into the silly spirit. As Amy A. put it, even the weather was down right Seussical. 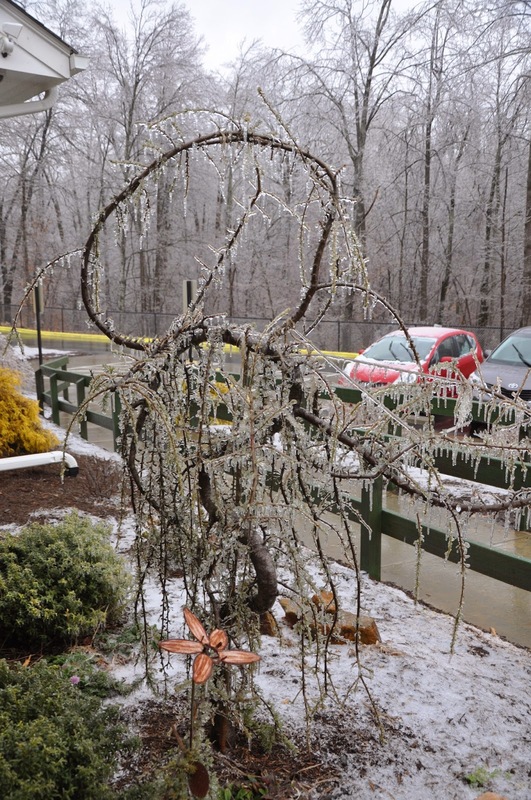 Though the ice storms put several kinks into our best laid plans, just like a Truffula seed the Seuss sprit broke though the gloom! 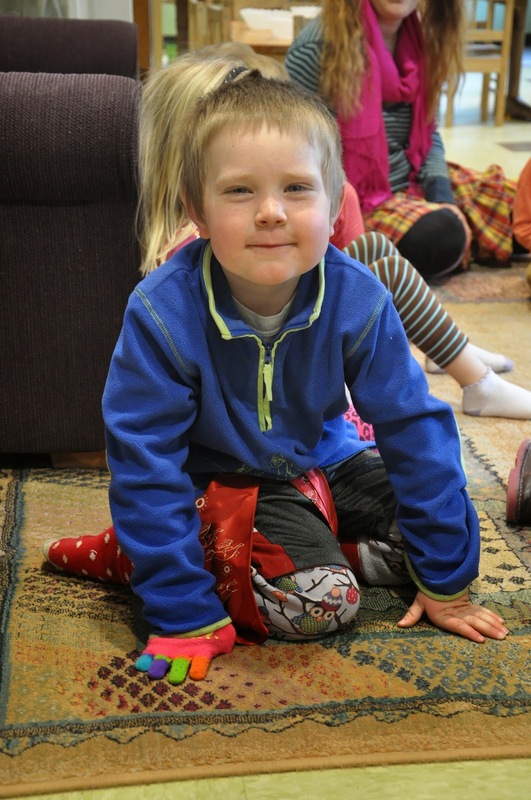 Kids donned their wackiest Wednesday costumes, parents read their favorite Seuss tongue twisters, and even our wee-est babies got into the Foot-Book spirt by painting with their toes. Here are a few photos form the week. Brandie never disappoints with her who-hair!